Mr Robot has been renewed for a third season on USA Network. Despite the second season only being halfway through its run, the news comes as little surprise due to the hacking drama being the network’s most acclaimed show ever. Mr Robot has been renewed for a third season on USA Network. Despite the second season only being halfway through its run, the news comes as little surprise due to the hacking drama being the network’s most acclaimed show ever. Mr Robot tells the story of cybersecurity engineer Elliot Alderson, who is recruited by an insurrectionary hacking group led by an anarchist known as ‘Mr Robot’. The so-called ‘hacktivists’ aim to take down the large multinational firm where Elliot is employed. Mr Robot is available exclusively on Amazon Prime Video in the UK, where episodes premiere the day after transmission in the States. 3D spinning cubes, shooting laser beams through cyberspace, two people operating on the same keyboard, speedy typing. Realistic? No. Entertaining? Yes. Hollywood will always overwrite reality for entertainment. Real-life hacking is hard, tedious, slow work. It’s ten seconds of payoff after weeks of testing and experimenting. Meanwhile, movie hacking is burbling gibberish while pounding away on a keyboard like your fingers are going out of style. New-century punk politics with digital-age anxiety have influenced a slick, smart, believable show; the USA Network’s new hit series, Mr. Robot. The show takes on the realism of cyber security, which is often dramatised to a fun yet ridiculous level, for your entertainment of course. The power of hacking has enabled a Barbie doll to turn into a real life woman. A bullied kid has taken revenge on his classmates through his computer and raised the devil. With the power of The Matrix, Neo could bend over backwards in slow motion and dodge bullets. Computer programmer Sandra Bullock’s identity was erased; she was able to access so much. Lightyears on (or at least two decades, and seven iPhones later), the accuracy with which programmers and coders are depicted in current shows is changing fast. The USA Network’s Mr. Robot has broken the mold. ‘The faster you type the faster you hack’ isn’t the case anymore. The drama has grabbed the attention of both critics and viewers, who have praised the show for its compelling storyline and accurate portrayal of cyber security and crime. 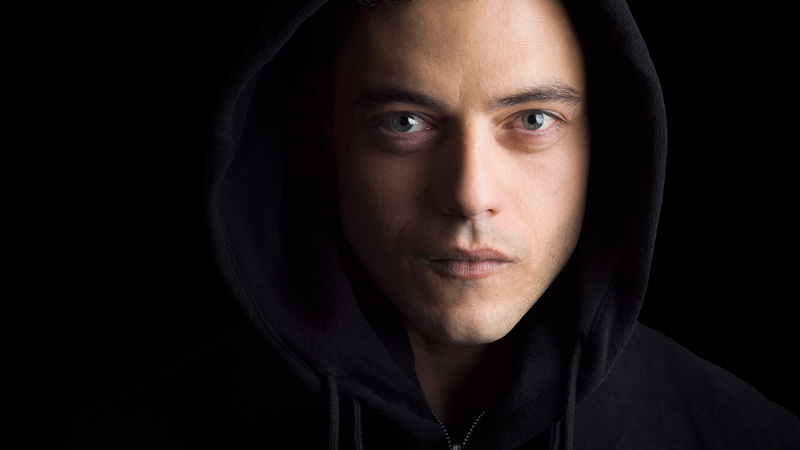 The cyber thriller revolves around the life of Elliot Anderson (Rami Malek), a vigilante hacker who works as a cyber security engineer during the day, but spends his nights hacking into the lives of others. A mere two episodes into its premiere season, Mr. Robot has quickly embedded Elliot in the world of underground hacking and introduced the protagonist to FSociety—a coalition of hackers led by Christian Slater’s character “Mr. Robot”. 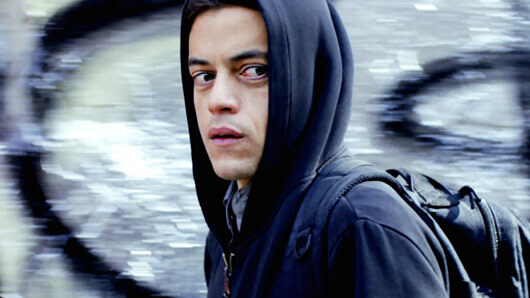 The show follows Elliot as he wrestles with right and wrong as a hacker with a moral compass. The drama’s main selling point is that it actually delivers a believable portrait of the world of hacking. Instead of showing hackers typing frantically and bypassing every firewall in a system, the show has focused right away on social engineering, email phishing, and the more realistic ways that criminals will get to your information – not by raising the dead through a computer. Does this mean more accurate hacking in future movies? Slower typing and more realistic coding? Probably not; it is Hollywood after all, and accuracy isn’t necessarily a concern; entertainment is. Though, be careful the next time you try to mess with virtual reality. You might not get out alive.